For any circle, what is the ratio of its circumference to its diameter? So, for any circle, the ratio of its circumference to its diameter is equal to , which is actually the definition of this very important mathematical constant. For any given circle, what is the ratio of its diameter to its circumference? The circle with center , is inscribed in the square . What is the ratio of the diameter to the circumference of the circle given that the square has an area of ? To calculate the ratio of the diameter to the circumference of the square we should first get the diameter, which is the same as the length of a side of the sqaure. To do so we just need to take the square root of the area of the square, which is 4. Also we should remember that the circumference is given by , where is the length of the radius. Now we should notice that this formula can also be written . The ratio we are looking for is . Therefore, this ratio will always be and this is our final answer. Equilateral triangle is inscribed in a circle. The perimeter of the triangle is . 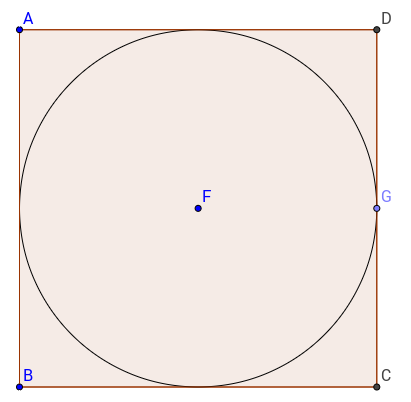 What is the radius of the circle? 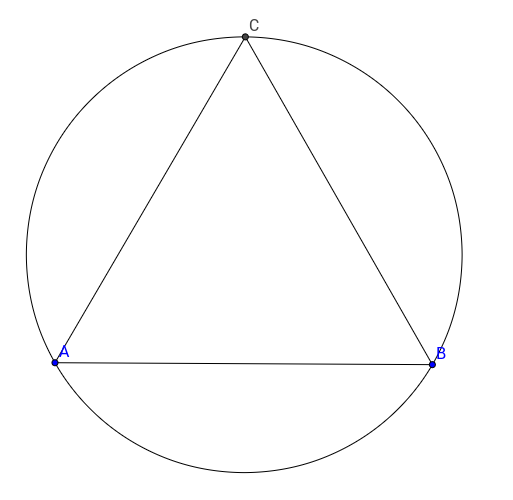 The perimeter of the circle allows us to find the side of equilateral triangle ABC; or 2. From there, we can also find the length of the height of equilateral triangle ABC with the formula , which turns out to be . Since in an equilateral triangle, the center of gravity is at from any vertex, it follows that the radius of the circle is . A given circle has a circumference of and a radius of . What is the ratio of the circle's circumference to its diameter? For a given circle of circumference and radius , . Therefore, the ratio of the circumference to the diameter of this and all other circles is . Find the circumference of a circle with a diameter measuring .